Carpet Cleaning Rental Machines in Sarasota, Fl. We were contacted by a lady whose husband had used a carpet cleaning rental machine. His motto was “why pay a professional when you can do it yourself” . A month passed since her husband cleaned their carpets and she was not happy with the way the carpet in the hallway looked. While at work she asked a friend if she knew a good carpet cleaner. Her friend recommended Superior Rapid Response. She spoke it over with her husband and they decided to call Superior Rapid Response. They scheduled an appointment to have the hallway cleaned while her husband would be home and they could both judge if a professional carpet cleaner could do a better job than the do it yourself carpet cleaning rental machine. 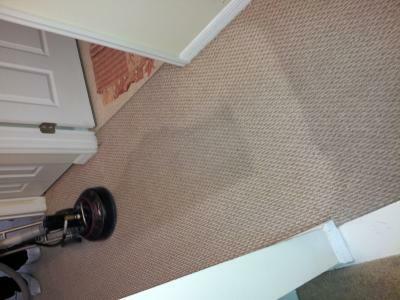 Both the husband and wife were so happy with the results of the hallway carpet cleaning they requested the technicians clean the carpets throughout the entire house. When the technicians finished the job, the husband jokingly said to his wife wasn't she happy that “he” called Superior Rapid Response. Superior Rapid Response is the premier residential carpet cleaning company in Sarasota, FL. Our goal is to offer high quality carpet and tile & grout cleaning at an affordable price.